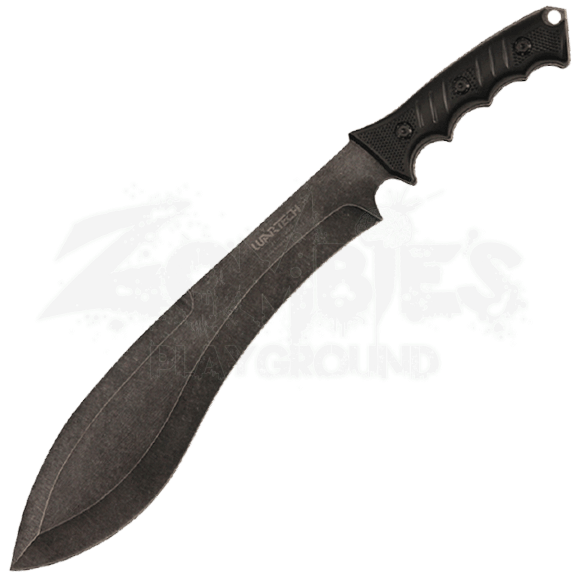 Put your instincts to the test with the Stonewashed Kukri Survival Knife in hand. Its blade follows a traditional design that has withstood the test of time, perfect for tackling the challenges and tasks of an outdoor adventure. 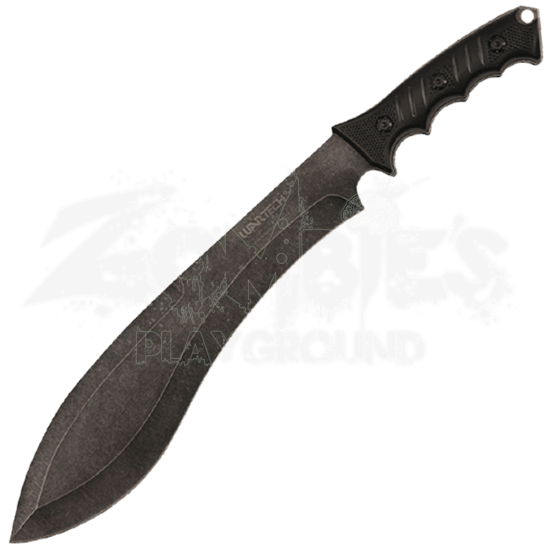 Crafted from stainless steel, the kukri style blade possesses a stonewashed finish. Finger grooves follow the lower half of the black ABS handle while textured lines strengthen the grip. A lanyard hole appears at the tip of the handle. A black nylon sheath is included for convenient carry and easy storage when not in use.